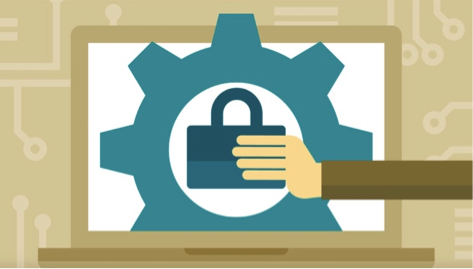 technology security: time to update your devices! Have you heard of two new threats to the security of computers, smartphones, and tablets? Meltdown and Sceptre are security weaknesses that could provide hackers access to the information on our devices. There has been a lot of press on these new threats – click here if you’d like to read more. While the average person has little to fear, it is still important to update the operating systems for your computers, smartphones, and tablets. The operating system is the overall supervisor of everything your device does, and updating improves the way your device performs basic functions and provides greater security. Updates are free, and you do not need to buy any hardware or physical items to update an operating system. If you’re familiar with procedures for updating, we hope this reminder encourages you to do so now, and you can use the information below to guide you. If you need assistance with updates, just contact the office at volunteer@ashbyvillage.org or 510.204.9200 – a technology volunteer will help you! NOTE: Some devices update automatically. If you follow the procedures below and you receive the message that no updates are needed, you’re all set. Click here for Windows directions. Once you’re at the website, click on "How do I keep my PC up to date?" It will tell you that the best way to keep your PC current is to turn on automatic updates, and it will then tell you how to do that for your particular version of Windows. Note: If "Automatic Updates" is already turned on, you may not need to do anything. But check Windows Update on your PC to make sure. And remember that any version of Windows older than Windows 7 (such as XP) will not get the update. You need to either upgrade your operating system or buy a new computer. Is an antivirus app installed on your device? If not, a good free one is Avast, and a couple of good (but not free) ones are BitDefender and Norton. After you have an antivirus app on your device, then go to "Settings" and then to "Security" (or "Lock Screen and Security" or anything that says “Security” in it), and make sure that "Unknown Sources" is not turned on. If you don't see "Unknown Sources," you should be okay! Open your Applications folder, find the App Store, and double click on App Store. In the top upper right side of the window, find Updates, and click on that. A list of updates will appear below the image. Click on the Update button to update All. Plug in your devices, and make sure you’re on a Wifi network. Tap on Settings à General à Software Update. If you haven’t updated automatically, you’ll the update for iOS 11.2.2. At the conclusion of the update, the iPhone or iPad will restart automatically. Remember, if you need assistance with updates, just contact the office at volunteer@ashbyvillage.org or 510.204.9200, and a technology volunteer will help you!